Would you like to know more about woodturning, woodcarving, stick-making, pyrography, scroll sawing or marquetry? Regardless of whether you are a complete beginner or an expert, male or female, young or old why don’t you come along to one of our meetings which are held on the first Saturday of each month in Wyaston Village Hall. 10.00am - 2.00pm. We have a mixed programme of visiting demonstrators, hands-on sessions under the guidance of more experienced members and a monthly competition. Annual membership is £30 plus £3 for each meeting attended. Visitors to the club are most welcome; their first visit is free after which they are required to take out membership. The club has a collection of tools and books, all of which are available for members to loan (see the relevant pages). Additionally we hold a quantity of wood and "consumables" which are sold at a discounted rate to members. 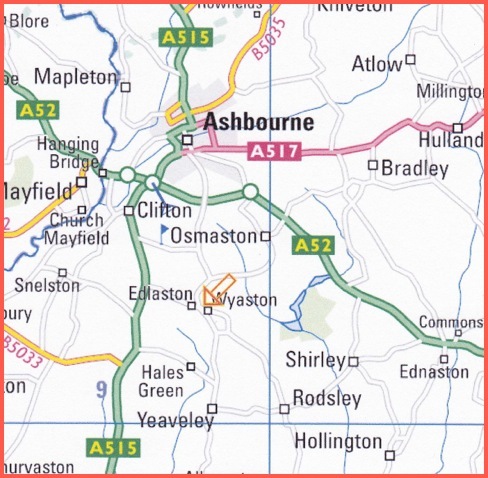 For those not familiar with the area, Wyaston is about 2½miles due South of Ashbourne. Enter the village hall postcode DE6 2DR into your Sat. Nav. but be advised that this will actually take you past the hall further into the village! Approaching from the direction of Ashbourne, the hall is almost opposite The Shire Horse public house. Further information can be obtained by contacting me using the e-mail link below.